This week, Concord had 8 burglaries. 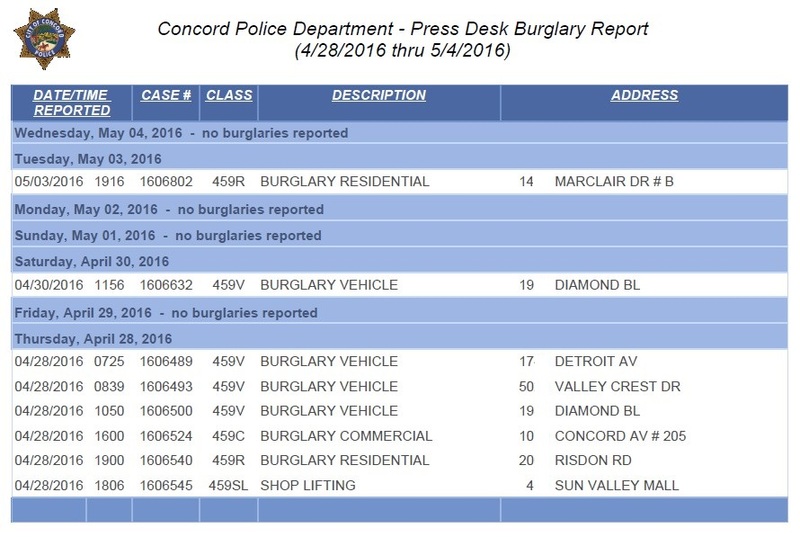 The week before, Concord had 12, and before that, Concord had 21 burglaries. ‘Loss Prevention’ at GVM must catch <1 in 100. We used to have more like 21 per week, eh? Down to 8 is a good thing.